You now have your apartment, your furniture, and a weekly batch of new neighbors next door. It’s time to start putting your furniture in place and make your apartment truly feel like home. Once you enter your room you’ll notice a floating bar on your screen. Simply click it in order to enter ‘building mode’, allowing you to place furniture of your choice and move them using the mouse wheel and Q & E keys. 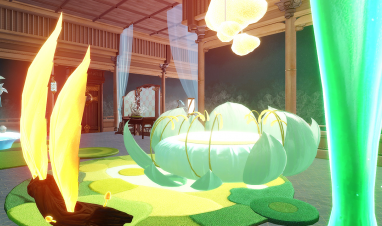 If you haven’t already done so, furniture can be purchased using Faery VIP coupons from the Volopine on the first floor of the Inn. If you accidentally misplace furniture, such as having small items get stuck within large items, items stuck in walls, or if you simply wish to remove placed items and furniture and start the placement process again, select the item in question by using TAB, then press DEL to remove the highlighted item. If you find that there isn’t enough space to place all of your furniture, then don’t forget that you can upgrade the size of your apartment using Faery VIP coupons by visiting a Volopine at the Inn. 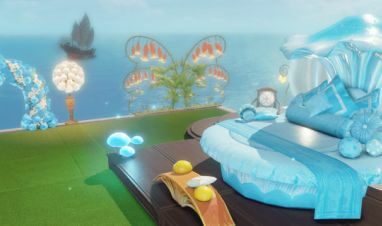 These coupons can be obtained from the same Volopine you purchase furniture from on the first floor of the Inn, you can only buy one coupon daily and each Faery VIP coupon is worth a total of 100 points. Time to prepare yourself for decorating your brand-new apartment!